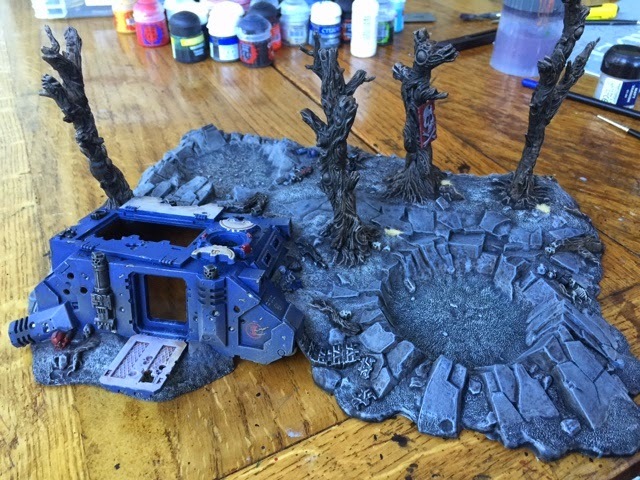 With my much-hyped Rogue Trader campaign now impending I find myself with a strong urge to paint up some more scenery for the assorted factions to fight over. Now about a month back I produced a load of ruins using a mix of old GW 'Gothic Ruins' and some newer stuff from Pegasus and so this time around I fancied painting something a bit different to break the monotony of churning out stone buildings. It was a crashed Rhino diorama that I had purchased some years back, and like so many models it had been glued together sprayed Chaos Black and then thrown into a box and forgotten about. 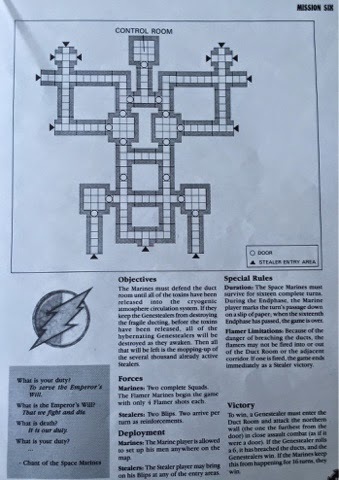 After the interesting distraction of a brief foray into the claustrophobic terrors of Space Hulk I have returned to generating the forces required for my up-and-coming Rogue Trader/Second Edition Campaign that I am going to be playing with my better half. Having recently finished off some old-school Genestealer hybrids I felt that I now needed some more basic fodder for my cultist forces in the form of some brood brothers. 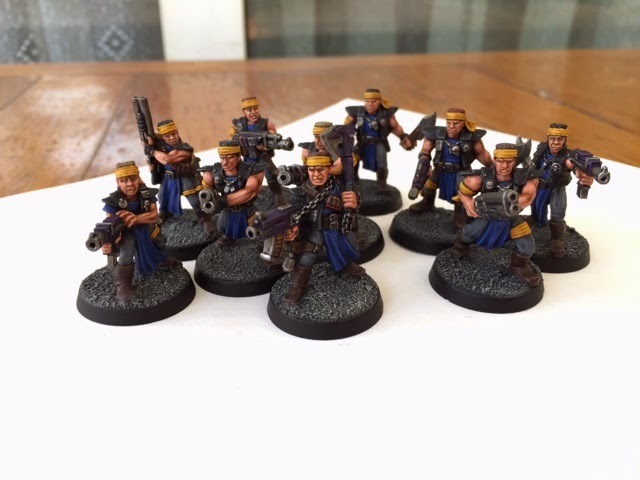 I wanted these guys to look like a rag tag militia as opposed to a formal military unit which pretty much ruled out all the Imperial Guard models released over the years. However I also wanted them to be armed with recognisable 40k weapons (autoguns, bolt guns, etc) as opposed to proxies... which effectively ruled out most other companies ranges! 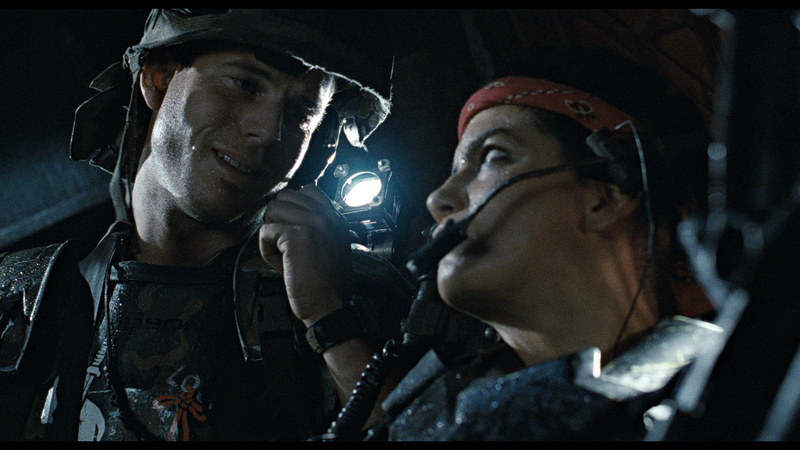 Well I have had the pleasure of spending another fantastic weekend with the better half and very obligingly she has made good on her promise of playing through the remaining three missions of the initial Space Hulk Campaign with me... she is literally the perfect woman. We played the missions in chronological order, squeezing in Mission Four and Five on Saturday night and the final mission this morning. 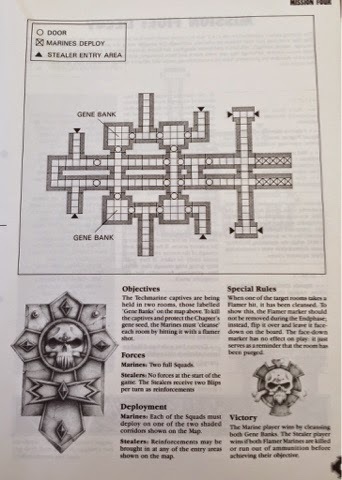 As per last week we used the basic squad layouts that are listed in the Space Hulk rule book without any of the subsequent additions from the Deathwing, Genestealer or Campaigns supplements. The only slight amendment that I did make was allowing the squad Sergeants with power swords to utilise the 'parry' rule from Deathwing. Also thanks to WARFACTORYUK for his post on last week's blog, he was absolutely right...we had been using the flamer wrongly (I did think it was a remarkably effective weapon....a little too effective) so we implemented the correct methodology for this week's games. Well over here in sunny old England its the Easter Bank Holiday weekend, which essentially means extra time for gaming!! After a lovely weekend with the other half she kindly agreed to play a few games of 'little men' with me! Always keen to take up such a kind offer I quickly scurried off to the man-cave to set something up. For a variety of reasons I wasn't really in the mood to set up all the scenery and construct the army lists required for a game of Second Edition 40k and so I looked around for something a bit easier to just 'pick up and play'. 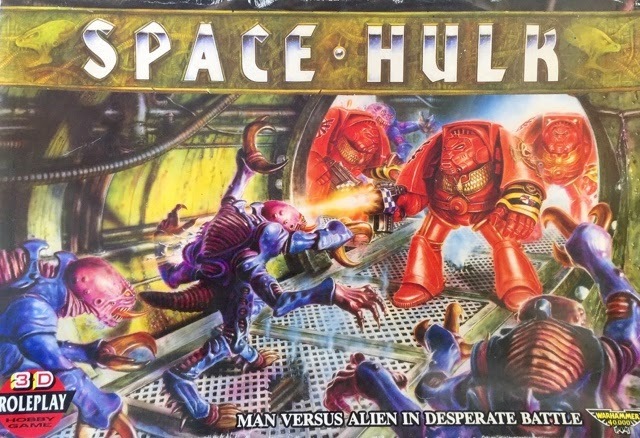 The iconic artwork on this box is timeless and still rates among one of the best cover images ever produced by GW. Young Legio spent many an hour gazing adoringly at those bold red terminators slaying the purple and blue 'stealers!